In a few days, spring will feel closer than ever and warmer weather will come along with it. These perfect conditions will draw anyone outside to read their favorite novels, and will give every reason to go searching for new titles to dive into. Finding just the right book sounds simple, but can prove extremely difficult once you finally enter your favorite bookstore and face the sea of shelves, stocked with interesting looking covers. But don’t worry, you won’t have to look any further than some of your favorite Netflix programs to draw inspiration for the perfect book. 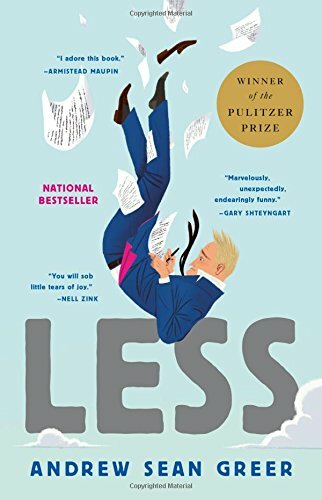 If you, along with almost every single student you know, loved The Office and spend your days looking for something to fill the void it left after having seen every episode twice, you may like Less by Andrew Sean Greer. Rather than appealing to all the superficial similarities like a comedy in an office setting or clueless characters, Less bears a similarity to The Office in its absolutely chaotic plot and dry whiplash humor. Struggling writer, Arthur Less, in a convoluted scheme to avoid attending his former partner’s upcoming marriage, accepts invitations to odd events around the globe. “My favorite show on Netflix is The Office because it’s funny and I don’t have to think about it when I’m watching it. It’s just a good way to relieve stress. It’s lighthearted and ridiculous and the characters are loveable but it’s also such a well written and intricate show,” Elizabeth Rose, a Temple University junior, said. Like The Office, the novel depicts absurdity, tenderness and moments of a beloved character grappling with serious internal conflicts. 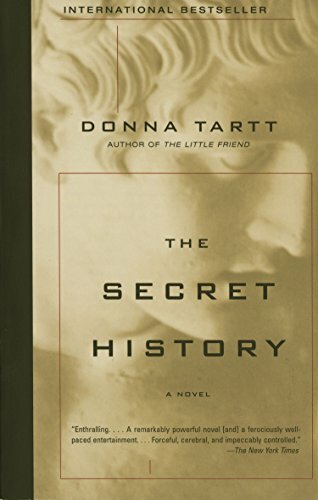 Everyone should read this icon of the dark academia genre regardless of Netflix favorites, but if you watched and enjoyed the supernatural chaos of Natasha Lyonne’s Russian Doll series on Netflix, you might especially enjoy Donna Tartt’s The Secret History. “I like shows that really explore characters for the sake of the plot. I felt like the show focused on following Nadia but still gave all the characters their own development and that helped create a really, elaborate intense story.” Richard Dobbs, a Temple University advertising student said. The Secret History in no way sacrifices plot for characterization or vice versa; Tartt creates a perfect balance of six fascinating characters who’s development blends seamlessly into the progress of the plot. This book explores the murder of a member of a secretive, selective group of Classics students at an elite New England college through the eyes of the newest member of their eccentric group. If you loved the dark and grimy supernatural plot blended with the gorgeous aesthetics of Russian Doll, then the combination of a psychological crime story and a paranormal mystery, alongside the trials and tribulations of college in The Secret History might check all your boxes. And of course, similarly, almost all of the characters are on so many drugs. Definitely check this out if you simply cannot wait until season 3 premiers in July. Or, check this out if you did wait until July but devoured the entire new season in a single day and have nothing to fill the void it left behind. “Stranger Things introduces interesting concepts, and the characters are great. They all add to the show in some way, which makes it more interesting. I’m not just focused on one person, rather it’s a whole set of people that I can focus on,” Rose said. If you loved the ensemble cast of formidable kids facing forces like murderous beasts, adults with ulterior motives and puberty, look back to a horror classic to give you something similar. It offers all this, with an added thick layer of bone–chilling terror in the form of a clown. Who doesn’t want to see a group of tough-as-nails children take down an ancient evil comprised of their worst fears? 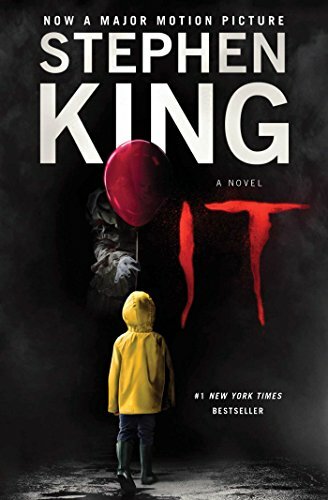 Both Stranger Things and It mastered this, but this iconic novel by Stephen King stretches out the absolute horror in over 1000 pages. So, aim to read this one between classes for the next few weeks. Chewing Gum, the hilarious amazing cringe fest that Michaela Coel inflicted upon viewers for two short yet tumultuous seasons reportedly will not return for a third season. To sooth the pain, try this collection of tender yet humorous short stories revolving around the chaos of being a young woman today. 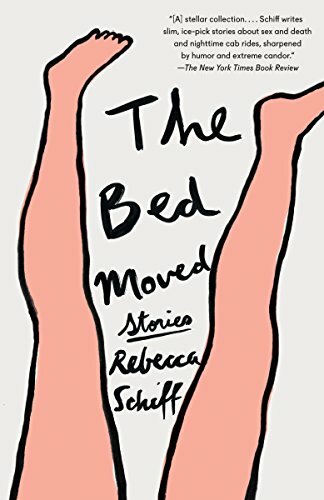 While The Bed Moved airs on the anecdotal of exploring newfound adulthood, Rebecca Schiff’s fictional collection of recollections about early sexual experiences, hanging out with people you don’t know if you like and discovering the self might remind you of the Tracy’s chaotic grappling with sexuality and independence, with some added tenderness. Through droll and hectic plots, Coel explored fetishization, self-image, online dating, deadbeat boyfriends, a wish for independence and dozens of other ideals that young women spend so much time considering. The Bed Moved offers a similar consideration of how to go about fitting into the big wide world, with just as much cringe. While we’re all ignoring the reboot of this late 90’s early 2000’s classic, check out another sister-centric witchy series in between rewatching every single season of Charmed. Not only did this long-running program feature a women-only main character cast, it depicted these women characters as strong, complex and bonded through sisterhood (and of course having cool magic powers). J.D. 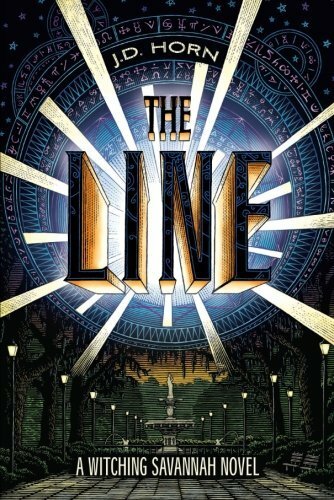 Horn’s novel takes you to Savannah, Georgia instead, to similarly delve into a nuanced relationship between supernatural twin sisters, grappling with power, greed and destructive outside forces. If you loved the idea of women unexpectedly rising to a difficult task for the sake of family in Charmed, you’ll like that same story told through a Southern Gothic veil.